Before we dive in, check out these two FREE resources to IGNITE your Entrepreneurial Journey! Your Big Idea: Discover Your Big Idea in less than an hour and IGNITE! And although John has taken the “business” part out of the equation, we still find that our guests continue to recommend business-related reads. Insights that will encourage you to change your mindset, to pivot, to build your business and grow not only your audience but your revenue, too? Oh yeah, and what about all that lifestyle entrepreneur stuff? Our team recently went through recommendations from 1,599 EOFire episodes to pull out the best of the best for you. Disclaimer: affiliate links present, Fire Nation! You can also find any of these titles by simply searching in Google or on Amazon. Awesome Graph Kate! Whats the Nap Hill one that was in the vault mentioned on show last week? Have heard it twice and want to add to que. Matt – way to hit a home run! :) You’re definitely not alone! What’s up next on your reading list? Currently reading “Rich Brother, Rich Sister,” by Robert and Emi Kiyosaki. Interesting look at their lives. You know who he is and she is a Buddhist monk. Also re-reading Start by Jon Acuff. Next up are WikiBrands and Laser Monks…they look interesting. We shall see. Matt – nice roundup! Your reading game is on fire! I was surprised The Slight Edge didn’t make the top but I’m sure it had to be close. I’m going to probably start with the Purple Cow! Melissa, nice catch! The Slight Edge is a great business book, and it was one that was recommended twice. Enjoy Purple Cow and let us know what you think! I downloaded the lean start up two days ago! I guess it was a great choice! Josh! You already knew it was coming :) Enjoy – it’s a GREAT read (obviously). Don – hope you find a few of these recommendations useful! Let me know which one you go after first. This is great – love it!! Glad you’re a fan Matthew! I just got E-Myth Revisited and Crush It today from Amazon. Looking forward to reading them! Nice Ryan! Both are awesome reads (I’m actually only about half way through Crush It, but enjoying it thus far). Cheers! Great resource Kate. I picked up a couple of books based on recommendations on the podcast and they were unbelievable. You guys rock! NIce list. I don’t have much free time to read so I went all in and signed up for Audible. It’s a will power booster since I get one book each month with my subscription. Now when John says “pivot, then pivot again” I get the reference (hint: It’s number one on the list). If you go this route, throw him a bone and use his affiliate link. Hi Steven! I was going to recommend going the audio route, but it sounds like you’re one step ahead of me – super! Such a great list! Have read numerous of the titles listed, and always looking for more. Thanks for this John! Hi Ross! Glad you found the list helpful. We’ll continue to share the great recommendations from our Entrepreneurs as they come! Nice! I’ve got 8 of 15 on the shelf and I’ve read 6 so far. Time to get the rest and read’em. Thanks for posting! Aloha and Mahalo John and Kate! Fantastic communications and ah yes, readers are leaders and leaders are readers! I share your choices and have most of these from hardcover to Kindle Fire and Audio Books. Turn off the TV and turn on the Mind… The best thing about it is I’ll take the Lean Startup Model and immediately take a “leap of faith” and apply validated learning processes to one of my “muses” depicted on an Infographic on my iPad in front of hungry eyeballs. Best to you and your readers! Myles, you get me so fired up every time! 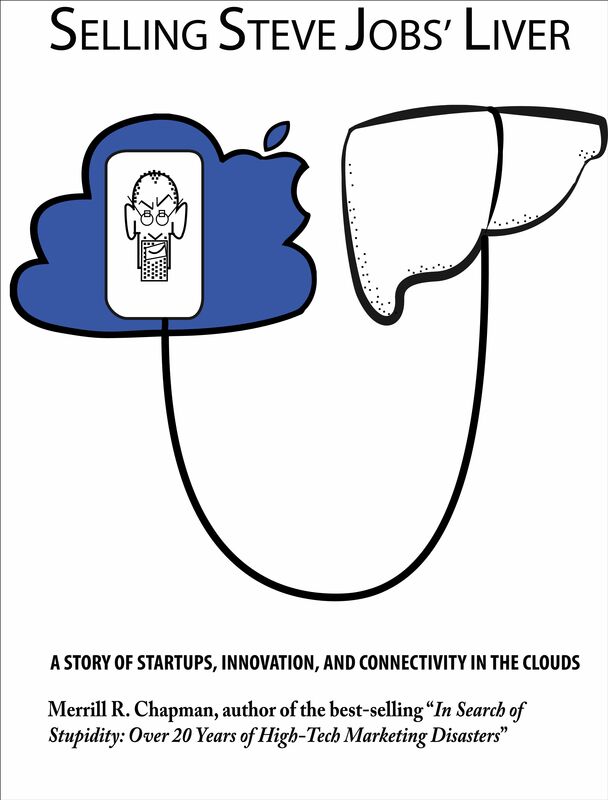 The Lean Startup Model is a great start for anyone looking to turn on the mind. Happy reading! Myles – love the “readers are leaders and leader are readers!” :) Now that you can listen to pretty much any book you want on audio, there really is no excuse… you might not technically be “reading”, but you’re still consuming and learning. Thanks for this! Aloha Kate Good stuff! Bottom line—reading these books is like writing a check to yourself and putting a few zeros in your bank account…the action first then the rest will take care if itself—isn’t that the EOF journey? I’m surprised the lean startup is at the top. Good book but I appreciated the $100 startup more. $100 Startup is truly a great @donnielaw:disqus! I have some reading to do now. Thanks! You got it Zech! Enjoy! I am reading EntreLeadership. It is great and full of tons of information. Every page I find something I need to do or could do better. Awesome recommendation @mafokken:disqus! I don’t think it will be too long before it also makes the top business book recommendations here on EOFire. Start with Why, Simon Sinek. He signed my book when it first came out and I got to walk around the Venetian with him for about an hour while we talked about what was the “why” in business and how that makes such a big difference in what we do. I ended up locking myself out of the hotel room, towel on my head as I raced to the conference room to get my book as I was told that Simon was signing it for me. I didn’t care I had one flip flop on, a towel on my head and no way to get back into the hotel room. I just wanted to get my book. Yes, I did walk around the entire casino with one flip flop, a towel around my neck instead of my head, wet hair, a funky tshirt and sweat pants. I didn’t care. I was talking to Simon Sinek. Hi Nicole! What an amazing experience – I can only imagine. Start With Why… I love it. Thanks for sharing! I love this story Nicole! That must have been amazing… I would have done the exact same thing to get my book. I haven’t read Start With Why, but it’s been on my list for a few months now. I might have to bump it up to my next read! Thanks for your comment. Great list! E-Myth and Delivering Happiness are probably my fav of favs. I really thought Great by Choice was a better read than Good to Great. Tony thanks for adding to the list here! I love hearing my listeners’ favorites – Great by Choice is definitely a winner! Thank you for this list John. I’d like to share this with my SCORE clients around Seattle. Another quick read I like to share is Rich Dad Poor Dad by Robert T. Kiyosaki. I also recommend Peter F. Drucker for entrepreneurs that are growing their business. Dan – SOLID adds. Rich Dad Poor Dad is a classic, no doubt. Drucker also has some powerful insights and ideas to share, so thank you! You’re the bomb dude! Thanks. Ricky – thanks for adding your favorite reads here! Now THAT is an all-star list. Awesome mentions – a few of which other Fire Nation faithful have also listed here in the comments section. Keep on reading! Favorite business books: the Slight Edge, Entreleadership-Dave Ramsey, How the Mighty Fall -Jim Collins, $100 Start-Up – Guillebeau, 4 HR Work Week- Ferris, Anything by Maxwell, then add the Rich Dad series by Kiyosaki. I could go on as I’m an avid reader. Ricky, great list! $100 Startup seems insanely popular and is one I haven’t had the pleasure of reading yet. Thanks for adding here! It’s not that much inspiring. It seemed popular to me too but I got stuck with it. Instead, I read Start With Why. It is great book that anyone should read. Ejaz, I agree that Start With Why is a must read! Thanks for adding your comment here! That’s Tony Robbins’s best advice as well! The Millionaire Fastlane and the 4 hour work week are the first two books I purchased after beginning to list to the fire podcasts. They have changed my outlook on life. A number of the other books I now have listened to via Audible .com… LOVE it….Rework is awesome, Start with why is excellent, Some points in Crushit are like stepping into the internet black hole.. WOW… Napoleon Hill outwitting the devil OMG….What a great book.. I totally love the book recommendations especially since I listened to 8 in the last 4 months or so….. YES! I am so happy to have this list. A number of my top books are on this list… and John, you will be happy to know that I am just starting The Slight Edge! I’m very excited for it. Don that is an amazing list! I cant wait to read all of them. I am on ‘the lean startup’ right now and I am learning a lot. In fact I wasn’t able to read it like most other books, in a way I had to stop every time to take notes, to analyse and to remember certain very crucial points. Also Rework has always been by favorite book!! Alula – I’m also reading The Lean Startup right now, and I feel the exact same way! I’m reading it on my Kindle, and I feel like I’m highlighting every other sentence while I’m reading :) I haven’t read Choose Yourself yet, but I’ll have to add that one to my list as well. I know it’s been recommended on EOFire at least 1 time… Thanks! My favorites so far are Entreleadership and Good to Great. I’m a huge fan of all things Ramsey. And I absolutely love all the research that went into Good to Great to make it the credible resource that it is. Brady, these two are VERY high on my reading list right now. I can’t go anywhere without hearing about them… thanks! I ran into a lot of pitfalls after crossing the $10MM sales threshold – you’re past the euphoria of startup, but before the systems of a larger business are really cemented in place. The best book I have found on this topic is No Man’s Land – Where Growing Companies Fail, by Doug Tatum. I would be a lot better off (and so would my employees) if I had found it sooner. The core message is that your systems stairstep and your revenues don’t. Martin thanks for the share here! I haven’t heard of this book before, so I’m glad you’ve recommended it here so we can check it out. Thanks! Go Mrs Tibbetts! I’m a teacher and we love hearing stories like this! Thank you Megan! Power to the teacher :) Congrats on your new podcast – that’s great! Thanks :) When it’s live I’ll be sure to let you know :) Thanks again. My most impactful vote goes to Tim Ferris. But haven’t read all. Yet… Thanks for this valuable list! Leadership Beyond Reason, by Dr. John Townsend. Boundaries For Leaders, by Dr. Henry Cloud. Not in that order necessarily, but READ all three! Checkout http://thebillionairesbrain.com – 50 business book summaries every success minded individual MUST OWN! Cool, thanks for sharing that here unlocksaver! I’ve read a couple of these and I’m sorry I’ve postponed reading some of the top ones. Great list! I strongly believe that GTD is a must, every entrepreneur should read it, es una shulada! Thanks for the rec David – I agree! I was shocked, I’ve read them all. Now I have to go back and reread/review them all! A great reminder…thanks. Hey John and Kate! When can we expect to see this list updated to reflect all the new episodes? It’s a really great resource! Hi Remie – I’m so glad you asked!! You can check out a recent update here: http://www.entrepreneuronfire.com/top-business-books Happy you enjoy the resource! You’re very welcome Istvan! Thanks for taking the time to visit the post and comment here! Getting Everything You Can Out of All You’ve Got is prob the most powerful book on Entrepreneurship you will ever read & it’s Not even included I’m not sure I can actually take this list seriously . . .
A great read, indeed jdarko! Thanks for adding it here! More management than entrepreneurial, but quite useful: “Execution” by Larry Bossidy and Ram Charan. Thanks for this Kenji! Just because a book isn’t on this particular list doesn’t mean that it’s never been mentioned; this is just a list of the top recommended books. Appreciate you sharing your favorite! The Greatest Salesman in the World (or a similar book: The Alchemist by Paulo Coelho) are very nice examples of books that are telling you a very similar message as “Think and Grow Rich” by Napoleon Hill in a much more entertaining way (expanding on the other fork of conversation here and I hope no one will mind). It sounds “too easy to be true” and these books both go through great lenghts to make you doubt that message (since – especially in The Alchemist – the protagonists seem to constantly “luck out” rather than accomplish anything on their own accounts), but if you’ve ever really “walked the walk” yourself long enough, you will _know_ that it might eventually appear to the rest of the world (and sometimes even yourself) that you’re “just lucky on a constant basis” rather than putting in a lot of work and effort and you’re then earning the fruits of your labor. “How To Be Rich”, by Felix Dennis is definitely missing from this list, though i wouldn’t want to knock Mr Ferriss any further down. Thanks Kate :) I’m sure you will find as much value in as i did. It’s a short book written by a man who built a magazine empire from scratch and now worth half a Billion. Love The Pumpkin Plan, too Ken! Thanks for adding such a great list of must reads here! Appreciate you taking the time to share them! War of Art ? What do you like in this book ? The Go Giver is AMAZING! It’s the first business book I ever read and it’s what got me into all of this! I loved Rich Dad Poor Dad so I’m really looking forward to reading Cash Flow Quadrant too. A couple of my favourites are The Slight Edge by Jeff Olson and Playing Big by Tara Mohr (not exactly at business book but everything in it applies to business) – there’s still a lot more reading I want to do! Great recommendations, Sam! Thank you for your comment here! Agreed, Kevin! It IS a great read. Thanks so much for posting here! I loved LAUNCH but everything by Jeff Walker is great and also everything from Stephen R. Covey thank you Ken! Get Rich Click by Marc Ostrofsky and Publish and Profit by Mike Koenigs. My god, it’s so sad that the horrible “Think and Grow Rich” by Napoleon Hill gets recommended this often. The ideas that were first (?) published in this book have been presented in 20 million other books and in 95 % of them, they were presented in a much more understandable and better way. While it’s an accomplishment to write one of the first books on the subject matter, people shouldn’t stick to the original for the sole reason that it’s the original. A good writing style and a good presentation are also important and in both of this disciplines, Hill’s book is getting an F grade from me. It was a pain to read and I never recommend it to anyone. The few people that ignored my comments about the book told me they didn’t finish it since they “already knew most of what was said in the book and it was a pain to read”. Thanks for adding your take here, Oliver! We’re all certainly entitled to our own opinion :) So what other books would you recommend in its place? The Art of the Start by Guy Kawasaki (which has already been mentioned in the comments) is very recommendable in my opinion if you basically have next to no clue how to start a business. Just keep in mind not to buy another book by Kawasaki since it’s the very same message in a slightly different looking bottle, so you won’t be getting any additional value out of your second purchase. One of the “bigger books” by Tony Robbins (e.g. “Unlimited Power” or “The Robbins’ Power Principle”) is very useful if you want to become more self aware and figure out how to better motivate yourself. I’m currently reading “The Leadership Skills Handbook” by Jo Owen and it uses a rather different take – no bs and straight to the point. I’m not done with it yet, but so far it’s been an enjoyable enough read. The Tipping Point by Malcolm Gladwell is a very interesting piece if you want to develop a better understanding of how crowds are thinking and you can draw some conclusions about product development and marketing, so while it’s not a “business book” per definition, it’s still very useful to improve your game. If it seems horrible to you doesn’t mean it is a ‘horrible’ book. Seriously, a movie you like most at seven won’t hold same values in 30s. BTW he presented auto suggestion to influence our minds; is totally based on our belief system and if you read it with a belief you gonna benefit from it. John, I am about 80% through Essentialism and I couldn’t agree with you more – absolutely loving that book and everything it has to offer by way of both mindset and straight awesome business advice! Thanks for mentioning it here! Zohaib, thanks for adding these two here! I’ve heard both of these elsewhere in the comments, which must mean they’re good! Thanks Byron – appreciate the rec!! Two GREAT picks Kamlesh – enjoy!! Business Model Generation!!! I don’t hear people mentioning it much, but I think it’s super important for anyone wanting to run a business. Awesome, thanks for adding your recommendation here Wuyen!! Current recommendation: Thrive by Ariana Huffington: for the soul-side of integrating your life and business. The Alchemist is my ALL time favourite book. Applicable to so many facets of life. Enjoying the list you have posted to find my *next* biz book! Have added it Oprah’s book to my Kindle. Thanks Kate! Love Entrepreneur on Fire! Thank John & Kate for all your hard work, 7 days a week! You’re so welcome Charlotte – thank YOU for your support!! Thanks for this Terry! Appreciate you adding in your own favorites here! Will have to check out Pound Foolish! Jesus CEO is a little-known classic. I base my business on its principles. It’s by Laurie Beth Jones. The Power of Habit by Charles Duhigg is another classic for businesses, along with From Good to Great and The Tipping Point. I’m surprised none of these made the cut. From Good to Great is one of my favorites Lisa! Thank you for sharing! Thanks for the share IBIMA! Here is a great read! Mindy Gibbins-Klein, “The Book Midwife” would say that for every entrepreneur the most important book is the one they would write themselves – and she helps with that. :-) Helps to re-born as thought leader mostly by expressing ourselves in books or other ways. Let’s add Dotcomsecrets from Russell Brunson too. Paul, I’m with you on that!! In fact, I just cited it as one of my TOP 3 right now in a recent post here: http://eofire.com/episode98 :) Thanks for your comment! Do anybody suggest reading something before it’s start? Vamsi, I think 4 Hour Workweek is an excellent place to start! Enjoy! Tracy, it’s never too late! Now you have a list of 15 awesome ones for your summer reading list :) Cheers! I liked this one also “Balanced Scorecard in Vertrieb und Marketing: Planung und Kontrolle mit Kennzahlen” by Andreas Preißner. Read in Russian, but I am sure there is English version. Awesome, thanks for the add Olga! What did you like about it so others know whether or not they might interested in reading it, too? Great list, I read 7 of these already. It’s surprising to me how many entrepreneurs still haven’t read: “How to Win Friends and Influence People”. It’s as relevant now as it was when it was written in 1936! My current favorite is Essentialism by Greg McKeown – I believe it’s a must for every entrepreneur because it addresses our biggest weakness, pursuing too many things at once. We just can’t help it! The 4 Hour Work Week is not the most practical book, but it is inspiring – it’s important to craft the life you want, rather than being slave to your business. The Myth of Multitasking by Dave Crenshaw is another one for entrepreneurs. It presents a very convincing argument as to why we should focus on one thing at a time, rather than spinning lots of plates. Andrew, thank you so much for the valuable recommendations! I agree – Essentialism is one of my current favorites as well… I’m actually reading it for the 3rd time right now :) It’s definitely a classic, and a ‘MUST READ’ for entrepreneurs who feel like they have “no time”. Appreciate your comment here and excited to check out the Myth of Multitasking – that’s one I haven’t read yet. Some really great books in that list. I have gained a great deal from some of these. Leo Hamblin recently published an exceptional book on leadership that should be considered an absolute must read this year. Attitude Reflects Leadership (http://www.leohamblin.com) is all about establishing the right mindset with critical thinking and associated mental exercises. Reading this book was a real awakening for me. I has taught me so much. Highly recommended. Thanks so much for the recommendation Cameron! Just finished up The E-Myth the other day,definitely one of my favorite books on business. Nothing to lose and everything to gain is a great book. Awesome, thanks for the rec FDJustin! Haven’t read that one yet – it’s on my list! I would love to see an updated list after more than 1,000 excellent interviews. Anything from John Maxwell – amazing leadership principles that you can apply to your business and all other areas of life. great list – thanks JLD! For anyone committed to focusing on sustainable growth for their business, I would recommend Verne Harnish’s book “Scaling Up”. Verne also offers a lot of free tools, including his One-Page Strategic plan at gazelles.com. He is known as the “Growth Guy” and has been an awesome mentor to me in growing my business…he would make a great guest for your Podcast! Awesome, thanks for the recommendation Polly! Thanks for posting I will defnitely add it to my ro read list. It seems there is quite a lot of drama in it. Lovely. What exactly does the x-axis represent in the image provided? How to Win Friends and Influence People is on my top 10 list as well. If there is one book to read for blogging, or business in general it is this book. Other’s on my list are ‘7 Habits of Highly Effective People’, ‘Think and Grow Rich’, and ‘The Tipping Point’. Check out the rest of my list at http://www.theultimatebookreview.wordpress.com. Would love feedback, and obviously we are on the same wavelength regarding good books! I also suggest: “The Art of Work”; “The Upside of Irrationality”; “Freakonomics”; and any book from Joel Comm.